Fully accredited courses in first aid, health & safety, safeguarding and more, offered throughout Cornwall. See our Courses page for more info. 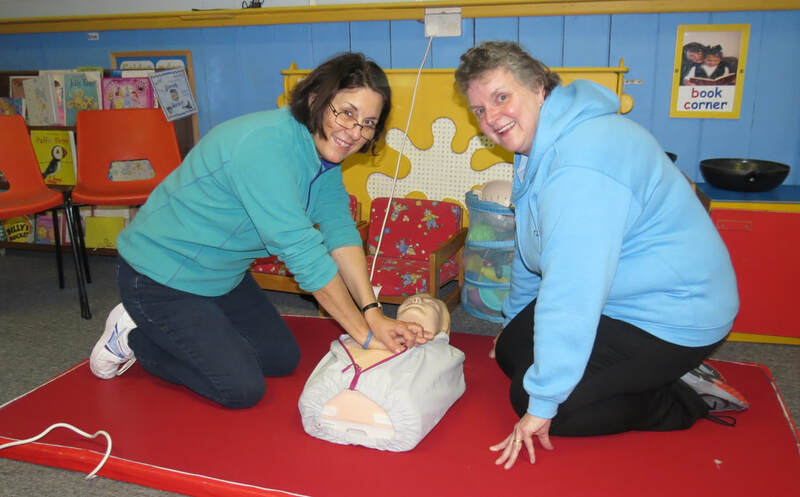 This is our 3-day first aid course with 9 amazing staff at Waterside Resort, Bodmin. The staff were from various departments, including reception, catering, leisure and management. The RLSS Open Water Lifeguard (OWL) bolt on module took place on Thursday 29th March at Retallack Resort Aqua Park. 10 newly qualified pool lifeguards were training to develop their skills for working in the Aqua Park. Topics covered included hazard perception, casualty management, cold water shock, communication skills and spinal injury management. 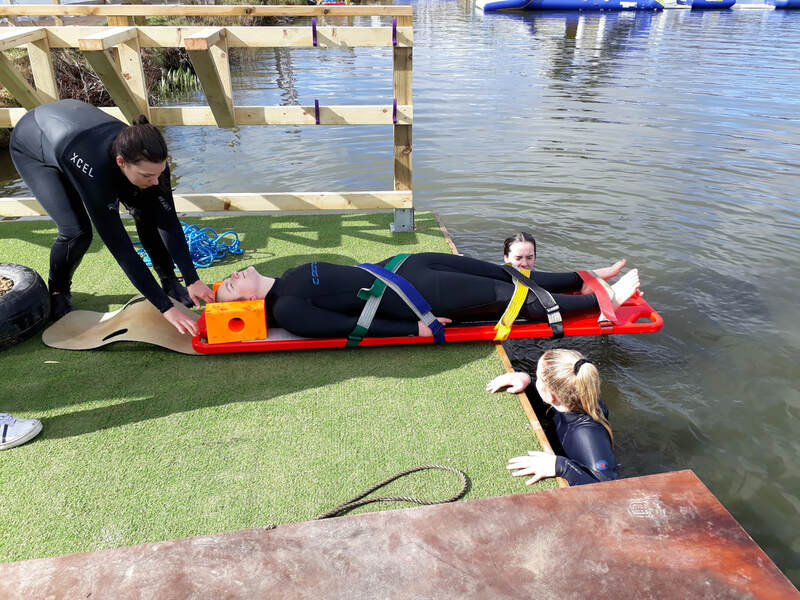 It was a very chilly day, in and out of the water, but as the Aqua Park was opening on 30th March the training could not be postponed any longer. The candidates were all of an excellent standard, very enthusiastic and enjoyed learning the additional skills. This is a new strand to FAST's training portfolio, and hopefully there will be plenty of opportunities to share these skills in Cornwall in the future.